A pillaging of time and space. new beginnings, built on their past. As you may be aware, I am working for EQC and have been since the 4 Sep 2010 earthquake. EQC asked me to write a poem for Canterbury for the front of their Annual Report. This is the poem I wrote (with one or two changes since) but I am not sure it made it to the final version of the report. So, here it is as Tuesday Poem this week. 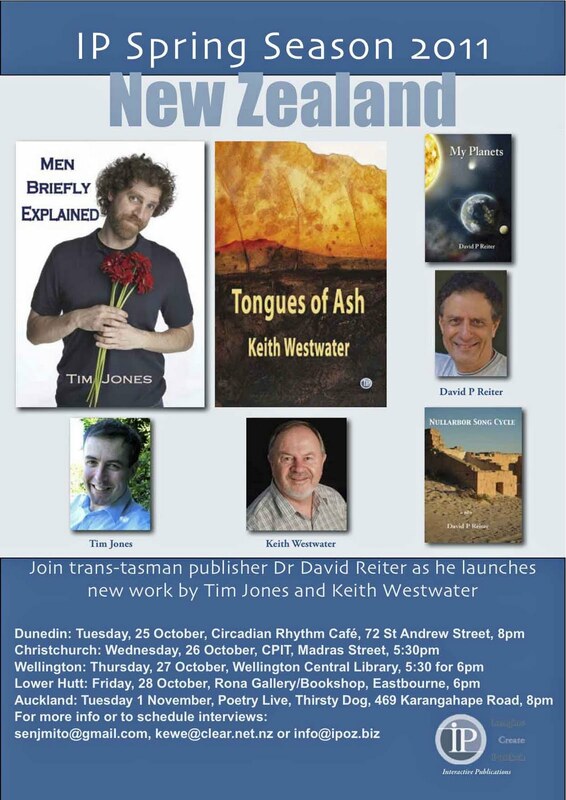 Along with 'Name-calling' (see my 8 Nov Tuesday Poem) I see it forming part of a sequence of poems involving Ruamoko, the Earthquake God. Keep an eye out for future Ruamoko poems on this blog and visit Tuesday Poem for more poems this week. These photos were taken by David Reiter, IP's director. 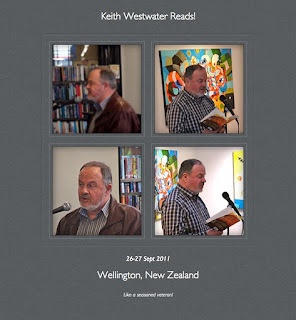 The ones on the left are at the Wellington City Library launch on Thursday of last week and those on the right are at the launch at Rona Gallery, Eastbourne on the Friday evening. Credit note: 'The Snow-Sayer' appears in my debut collection Tongues of Ash. 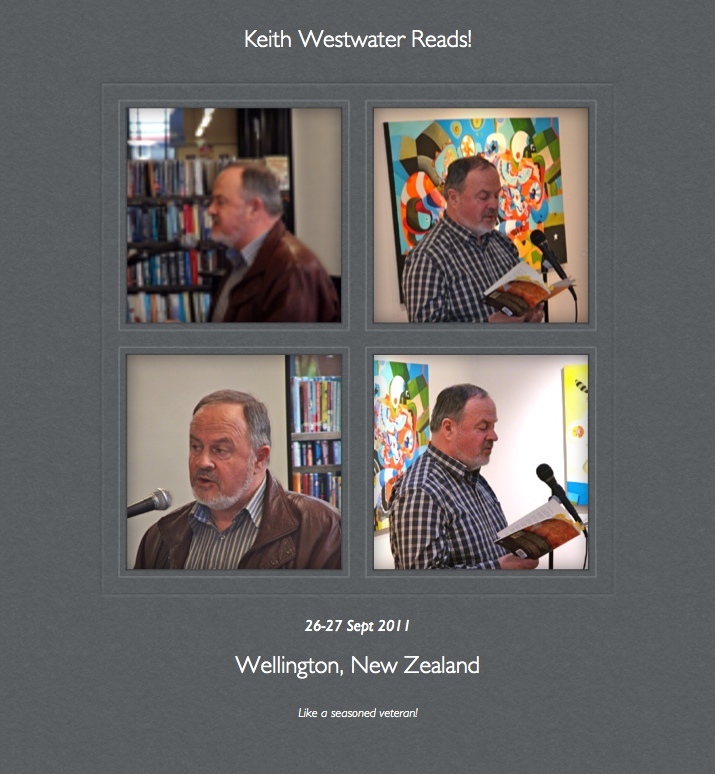 It received a ‘commended’ in the New Zealand Poetry Society’s 2006 International Poetry Competition and was first published in the competition anthology Tiny Gaps. No, not that one – the one that happens after NZ returns to the relative normality of a post-RWC election campaign AND Tim Jones and I begin our joint book launch tour of the country (see my post of 31 Aug). as the motorcade fails to take the bend. he whispers poison in each lovely ear. the indispensable figure of the fifth act. to live this way? I look into his empty face. You’re the one who chose to fall in love, I say. Note when and where best suits you!